Sacred Groves and Enchanted Gardens are a favourite habit of Witches throughout millennia possible because they attract fairies. Witches and the Wise Ones love to create sacred, protected and enchanted places in order to work and live there. The Wise Ones always knew that living in a protective and magically elevated place is going to help them achieve more and direct their energy more effectively. You don’t have to go big (although you can). 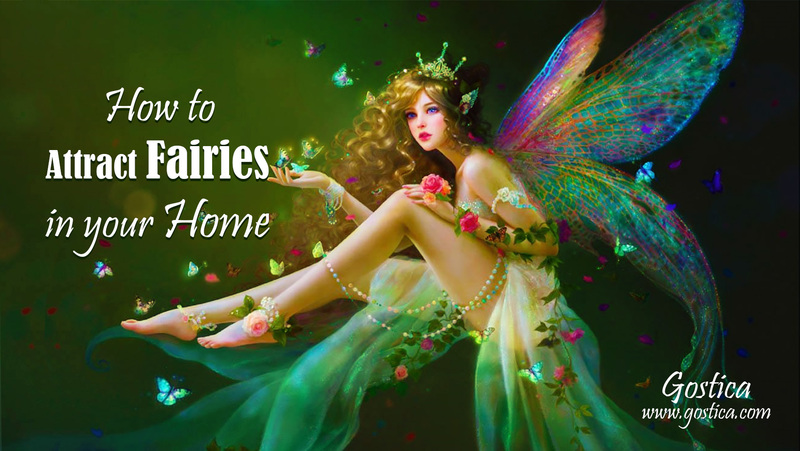 This article proposes you ways to invite (and thus work with) Fairies.What are Fairies? Well it’s like Human race. Not all Fairies are the same. But generally speaking, Fae spirits are Spirits of Nature. This means that Fairies have control over the Elements (which one depends on their heritage) and possess powerful healing, beauty and love magic. Their strong relationship with Nature attaches them with the area they dwell. If you are kind enough with Nature they may have already noticed that and occasionally help you. Unfortunately they almost always feel estranged from humans, therefore using tips and tricks like following will try to establish a relationship build on faith and hope for the future with the Fairies. Do remember that by inviting the Fairies you actually invite powerful forces of nature to work with so be honest, respectful and kind with them as well as with nature too. Lavender: This fragrant Herb is used since antiquity to help you establish connection with the Realm of Fairies. Planting Lavender will invite fairies in your garden. Click here to find out more about Lavender. Marigold: It’s believed that jam made of Marigold will help you see fairies. But even if you don’t know how to get some, planting Marigold will attract there wonderful creatures. Thyme: The herb of courage was usually planted in France to attract fairies and live with them. Even in Shakespeare’s play “A Midsummer Night’s Dream” Oberon, King of the Fairies states that “I know a bank where the wild thyme blows” potentially referring to the bed of Titania, Queen of Fairies. Click here to find out more about Thyme. Rosemary: The “dew of the Sea” is usually planted in gardens to invite kind-hearted and wise fairies and elven spirits. Click here to read more about Rosemary’s magic. Pansy: If Love is what you are looking for then plant Pansies and ask from Fairies to bring you what you are looking for. Foxglove: Legend has it that fairies usually hide in Foxglove. If Foxglove is growing in your garden it will attract fairies and other spirits of Nature to guard the garden and the household that takes care of the plant. Find out more here. Mimosa: The pink flowers of many mimosa species which look like small brushes is believed to enable contact with the Fairy kingdom when touching one’s eyes gently and brushing them. Click to read more about mimosa. Honeysuckle: The enchanting smell of this wonderful plant is believed to attract fairies like magnet. The sweet nectar of Honeysuckle will help fairies notice you. Snapdragons: The garden where Snapdragons are planted will increase the Fairy activity and moreover will bless you with enchanting beauty. Violet: All violets are sacred to Fairies. This is something you should always bear in mind. Planting violets is like a shortcut to Fairy Realm. Primrose: This magical plant has the reputation not only to invite but to actually help you see the fairies and interact with them. Bluebells. It a Blue-Bless for you garden. Fairies allegedly will come and dance in your garden if Bluebells are planted. Feel like dancing tonight? Decorate your altar with pictures or statuettes of Fairies. Bring a bowl of Water, enchant it with some sweet words to fairies and leave it on your altar. Fairies Love to dwell where water is near. Sea, lakes, rives even magical bowls of Water. Refresh the Water daily. Dispose the previous water to your plants or trees nearby. You can “offer” honey to Fairies. Honey is like acts like a magnet. They actually love it and use it in several recipes, filters and magic potions. Fairy Magic has several spells where honey is requires (we’ll guide you to it.) Offer a small bowl of honey to the Fairies.